What a great craft, thank you for sharing! What a great technique. I'm thinking of a lot of different images this would work with. 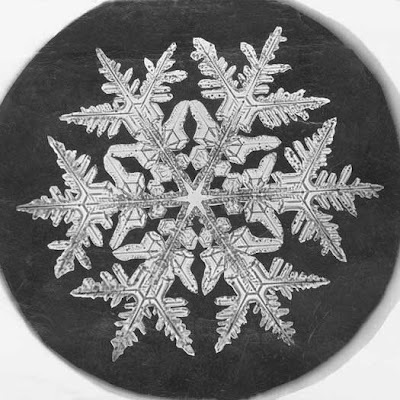 Your snowflake card with the white EP is GORGEOUS! 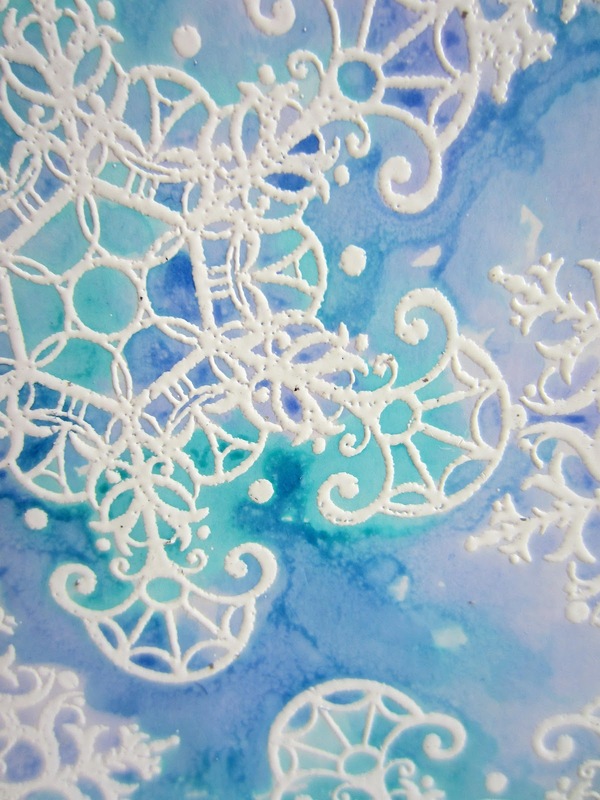 such pretty touches of blue and aqua to shade the background. Just lovely! Linda, that is just gorgeous! 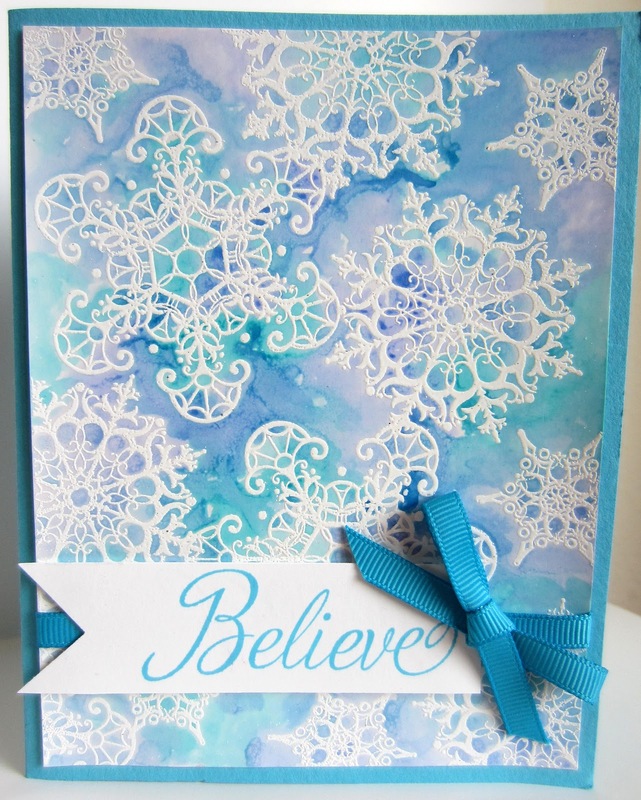 The embossing is exactly the right method to make those snowflakes look wet and glossy and icy and cold!!! Such beautiful detail too..thanks for the original photo of a snowflake!! I haven't seen one up close and personal before!!! Thanks so much for joining my party with your beautiful card. This one is beautiful, I love the color variance. GORGEOUS! This is my favorite! 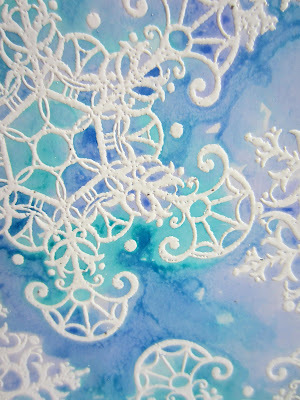 Thanks for linking up at my Pin Me Linky Party. I hope you come visit & link again. The party starts tomorrow at 8am CST.